Dropkick is a platform to plan, release and sell music where you are in total control of your rights and keep 100% of the profits. From songwriting to topping the Billboard charts we guide you along the way. Free Kick-off Session In order to give your record drop the kick it needs, we start every release off with your first planning session included free with your registration. We assign your guide, a Drop Sherpa (like the Tibetan people of the Himalayas that help you get to the top of Everest) to help you complete the first few steps of the release plan. They help align your vision, goals and budget to assure a successful release. Dropkick Direct Our direct-to-fan mobile retail app makes it possible to deliver digital music bundled to your merch sales increasing profits upwards of 600%. Skip the CD and Download Card, sell more product at live shows and even make your online store mobile to climb the charts. Dropkick also makes it easy for music fans to opt-in to your email and text lists with a simple tap of the finger. As always, Dropkick works with any merch item, payment gateway and mobile device. Dropkick Online We set you up with an online store to sell music & merch bundles direct-to-fan from your website or social media posts. Dropkick Merch We help you minimize manufacturing costs and maximize brand awareness. Design a line of merchandise that sell at higher price points or have bigger profit margins with the money you save by not manufacturing CDs or Download Cards. or whatever else you can imagine *sales are counted and are reported at time of digital redemption, not point of sale. Dropkick Online & Dropkick Merch services have fees & costs not included in your monthly subscription. Drop Sherpas are available for hire after your initial free kick-off session to guide you through the entire release process. We help you work out all costs so there are no big surprises before you release. Dropkick is your trusted partner for every step of releasing and selling your music. 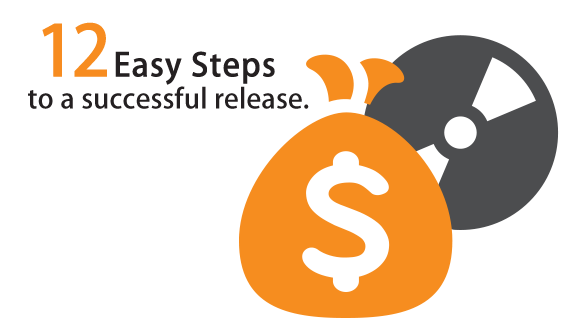 Let us help you make your next release count for more than gas money & hosting fees. Dropkick is included with your monthly plan starting at just $10/mo. Register for the Dropkick plan that works for you DROPKICK SMART For artists who want to skip the CD or Download Card and sell digital music & physical merchandise together.DROPKICK CD For artists who sell CDs, Vinyl or other physical media at live shows. Schedule your kick-off session Each Dropkick artist gets an initial kick-off session with one of our Drop Sherpas. Usually lasting 20-30 minutes you begin the Dropkick planning process. Go DIY or work with a Drop Sherpa We plot every step of the way for you, almost like a game board. Imagine monopoly meets chutes & ladders. Hire one of our Drop Sherpas to move you around the board as quickly as possible avoiding all obstacles and pitfalls. 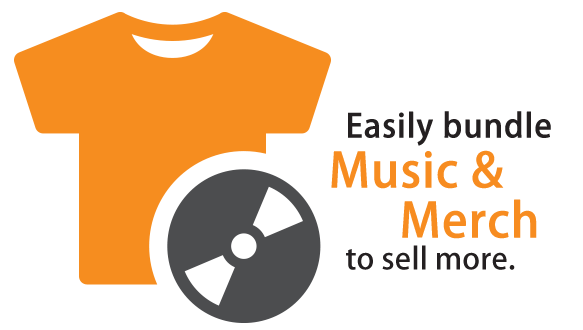 Release and Sell Use the Dropkick platform to sell more merch and music at every point of contact you have with your fans. We get you set up with an online store, point-of-sale system and can even provide ways to sell your music through social media. Use our Dropkick Direct App to quickly distribute digital music direct-to-fan and capture the information you need to grow your fan base, keep people engaged and create superfans.